2. You don’t ever need a “cupcake” again. 3. I had to share them immediately with you. 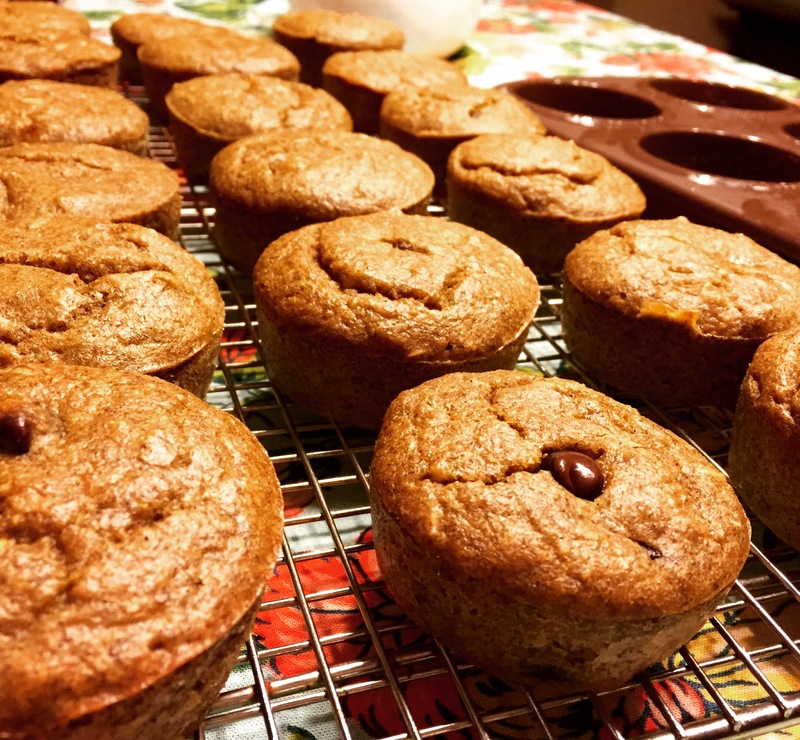 These are 100% CLEAN, FAST, Gluten free, SIMPLE and totally gym rat approved- I swear. So much for freezing them, we are inhaling them. 1. Mix everything EXCEPT for the 1/3 cup of WHOLE oats and 1/3 cup of chocolate chips together, until creamy. 2. Stir in whole oats and chocolate chips. 4. 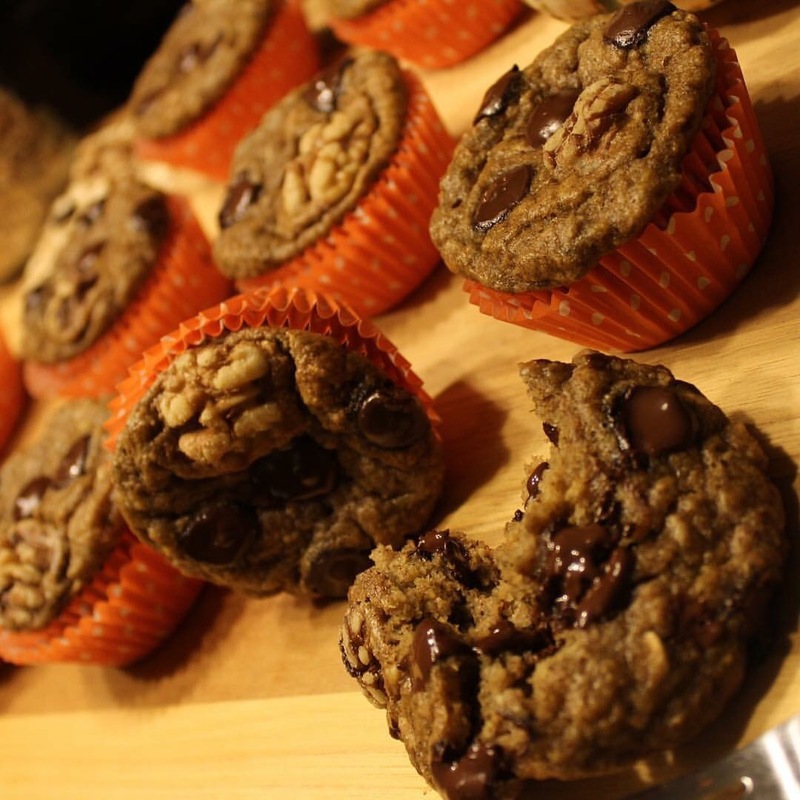 Place a few chocolate chips and whole walnut on top. Note: If you choose liners (I did for decoration purposes only, spray them so they don’t stick as much to the paper.) 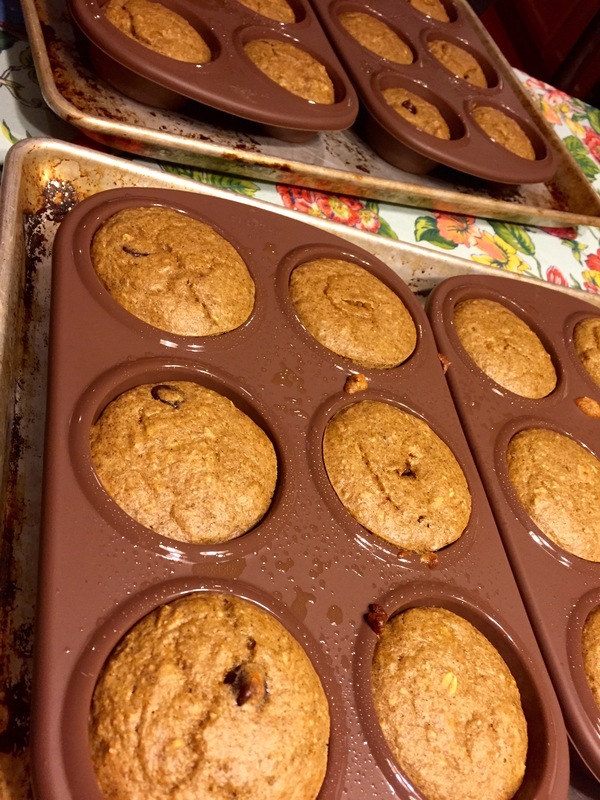 You can also use muffin liners in silicone, or just silicone, metal, or use parchment paper(my personal fav but more time consuming.) *If you’re strict GF, use Bob’s Red Mill GF oats. FEEL FREE to substitute dark chocolate chips with blueberries, cranberries and an assortment of other things. This base can be used for adding a variety of things. It’s that good! Made these today and they were great to satisfy my sweet tooth without the guilt!